THE Corporate Ethiopia Football Tournament is created to bring the Ethiopian professional working people together in a team setting and build camaraderie through sports. The event will be the backbone for Dream Big Sport Academy, which is an organization dedicated to improving the lives of youth through sports, with an emphasis on economically disadvantaged. The event will be launched with various stake holders and partners, including the city of Baher Dar, as the initial host. The football tournament will be launched in ten major Ethiopian cities within a period of five month, with one city at a time serving as the host city. The first event will be launched in the city of Baher Dar. The organisers have extended their invitation to the city of BD administrators and staff, the diplomatic corp and staff, international organisations, and the media. 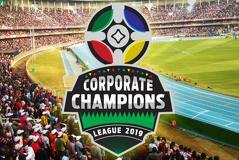 The event will take place on January 26-27, and the final day of the event will be concluded with a friendly game between Baher Dar Kenema FC and Fasil Kenema FC. Fifty percent of the gate proceeds will be donated to Lake Tana project and BD Kenema FC. The staging of the CORPORATE ETHIOPIA FOOTBALL TOURNAMENT will help to bring together participants, facilitate networking and cement ties between Ethiopians here and the Diaspora, while also attracting other nationalities from all over the world. The event will therefore contribute to the fulfilment of sport tourism. Establishing an annual sport festival to bring together North America football teams, European teams and teams from other continent. The festival’s purpose is to provide an enduring forward-looking project with goal of continuing a positive focus through sports. Secondary is an enterprising business venture, but one with substantive and visionary purpose.